When describing the lights I always say, ” it doesn’t give off light, it just is the light”….. probably doesn’t make sense how I’m describing it but that’s the only way I can explain. Very excited, another great show on our countdown to…. ISN’T THAT FASCINATING !?! I have seen the floating lights in the Forest at night myself ! A Amber ball of light Floating in the Air. But I told myself it was Aliens. And I left in a Hurry ! I don’t even like Shots at the Doctors Office ! I can not even imagine being “Probed”………… NO THANK YOU. Then again I told a Man I know about that Gorilla I had seen , When He told me that He grew up in a House that is now abandoned on that same Road that I was Escorted down that night. And He told me that He remebers seeing a Amber Ball of light in the yard of another House that was across the Road from Their Place ! And it happened when the Elderly Lady who lived in that House had just passed away. ( I do not know what that means ? if it has meaning at all ? ) I thought it was strange. Cant wait to hear these encounters. More importantly, to all the veterans out there Thank You -For everything. Where do I click to see tonight’s show? What time does it come on? Is it live-streamed? Rita S, click under the heading “Episodes.” It is not up yet but should be shortly. It is not live. Wes likes to announce the shows a head of time as it gets us all syked up. I figured this out! LOL! These encounters sound pretty unnerving. Can’t wait for the show. Hope it is early. And thanks to all our Veterans out there for your service and sacrifice. ?? Thank you to all veterans, current military, police, peace officers, and all those who serve our great country near and far. Really enjoy all the shows Wes. I’m a new member but I’m powering through the episodes and I’m excited about episode 500. Keep up the great work and a big THANKS to all your guests who make it all possible !!! Good show Wes. OMG I’m not prepared for them to be aliens but…..it’s mighty strange all the coinkie dinks. The ‘interaction’ between the first guest and the creature was fascinating. I have been wondering what the creature meant by the tapping on his chest…. Interesting. Great show tonight Wes. Big shout out to Kyle and Ryan for sharing their awesome encounters. Thanks guys. YEEEEEEE HAWWWWW!!!!!!! Wes I’m glad you do the show. I started listening at about 30 to 40. Made my way through those. Became a member when you started this website. I’ve been under many different names because I’d have to let a subscription run out, but always got caught back up, and was never out for more than a couple months. These stories have helped me understand things at my grandmothers house. Helped me walk the mile from the bus stop to work. LOL. This was on a rural road. Spent many nights working on game projects and my own writing projects listening to the show. I’m glad you made it through the “dark” time and continued on with the show. It’s better now than ever. It’s cool to see how you’ve helped others with their shows. It’s been cool to hear how you’ve defended people and called out others; in a proper way. Three things I want to say: never follow those orbs, I hate the way Sasquatch watches us, and the supernatural does exist. Hi all. Very good show. Seems to me that the UFO the last guy interviewed seen , could well been a TRB type military spacecraft….. From what l have read on these , they have been around for 30 yrs or so…. Under black project classification…. They have been seen many times throughout the PLANET…. LOOK UP TRB On U Tube…. THANKS. AND THANK YOU VETERANS. !!! I’ve had many BF encounters with 2 sightings. The interesting thing is that with every BF encounter I’ve also witnessed the lights. I don’t know what it means, but it’s very interesting.. Thanks Wes, and congrats on 500!! ? 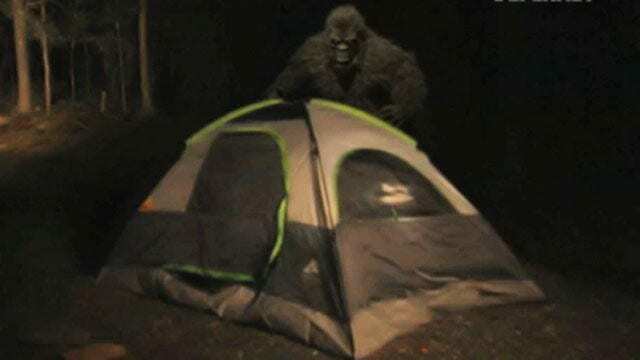 Great encounters from both guests,i wasn’t sure at first about sasquatch’s having anything to do with these lights but now more and more encounters are coming in with people seeing both together its really hard to believe at first but im starting to push towards that the two are related.spooky just thinking about it. Also believe that it’s the lights that are seen with sasquatch’s is most definitely the reason our government is covering sasquatch’s up. The only time I saw TWO BALLS OF LIGHT was in WASHINGTON STATE BTW …. In Sasquatch spiritual weekend in August 28-Sept 05 in 2017 and I thought I was going to the 50th ANNIVERSARY SASQUATCH CONFERENCE 2017 … On the last night of a three days weekend was on SATURDAY NIGHT about 9-11 pm and they ASKED what I saw and heard IN DEC OF 2016 last hunting season after my story I was remembering that OMG day and one MAN named GREY WOLF was calming Me down by talking to Me and I looked left into the sky and I SAW A BLUE ORB which I was rubbing my head and than went right into the WOODS and than A white ONE SOON AFTER THAT WENT THE SAME SPOT I WAS MORE SCARED AND I WAS WITH OTHERS BUT ABOUT 20-30 PERSONS and I felt like I was by my self on that day HUNTING 4 HOGS in the SWAMP IN HERNANDO STATE PARK FLORIDA all over again and I was FEARFUL AGAIN and I’m NOO SMALL GUY in Any MEANS WES MEET ME IN PERSON THIS PASS SASQUATCH CONFERENCE 2018 and I’m 6’1″ about 380 lbs and I used to be A UNION STEEL KING LOCAL #20 IN NYC Soo I don’t get all much scared That much But that night plus that day YES I WAS AND AM TILL THIS DAY and this week I’m going Hunting for hogs but in a different STATE PARK ON WEDS MORNING OFF ROUTE 19 & I HOPE I NEVER EVER WANT TO HEAR OR SEE anything like this again in my LIFE …. Wes – great show and thank you so much for playing our track. Big Love from the UK ! Hi Dave. I’m also from the UK, and I really like your track. I’ll be sure to check your band out. Another great show, Wes, by the way! Wow that thing coming so close finger in the chest holy crap that’s intense. Loved the show very cool Wes how you have started playing a song at the end . I really enjoy the longer eps ! Btw loved the song Dave B ! Thanks Wes and My bookie!!! Woohoo, I’m caught up! ? Two great shows tonight! Intriguing second guest. Wow, intense encounter by both. The lights is so interesting because nobody wants to discuss that phenomenon. I’ve seen enough lights and craft-type UFOs residing 30 years on the Space Coast of Florida. It does the same with me on my kindle fire tablet..so, I wait until I am able to listen on my laptop..but if it stops I have to begin at the very beginning??? Great show and nice song at the end. _ yes, it is written – we wrestle against principalities & powers, and rulers of the darkness in this realm. It’s also written, spiritual things are spiritually discerned. Believe not every spirit but “try” them, whether they are ‘good or bad’. Basically, that’s what we’re told to do. And basically that’s what you stated. Good word. Thanks for saying it. ‘Leary of’ is not ‘fear of’. It’s wisdom. And, don’t forget the Norway Spiral that happened in front of everyone and was filmed. I don’t think there was an explanation for it at the time, but lots of “speculation”, and there it was! Great episode Wes. We appreciate you. God Bless you brother Wes. Alright…alright, alright! ~Love ya Wesipoo. I love the show but the 2nd guest was tough to believe. Great show and a good band! My grandpa seen These balls of light while driving down an old road with my grandma and all my aunts and uncles in the back ,lights came right in front of the car think a model A , he’s slow down and stopped then right then the front wheel fell off of the car ! Think these balls of light been around for a long time ! Hi William, Doesn’t it sound like the ball (s) of light might have saved their lives, or prevented a bad accident since the cars tire fell off? Is that all to the incident, because sounds like there may be more about it. Perhaps you could post it in more detail in the forums if you want. Thanks for sharing. Hey Wes, very good show! The explanation of the light you saw Ryan is pretty close to right. The orbs we see are keeping track of the sasquatch (ect). Without seeming completly off my rocker, the aliens have been here since the begining of time. They are resposible for the cimaras. (sp ?) Wes you have read my theory, have you noticed how many of these experences are starting to fit in? I will be emailing you soon about the things that have been going on around here and I can’t wait to tell you about the triangles, scared the bejeebers out of me…. This is really a fascinating program!! I’m glad I got to listen to this one. Thanks, Wes for the entertainment on a cold rainy Utah afternoon!! Great show Wes. The exit music was great, glad they reached out.